As the U.S. Army neared Rome after more than 4 months of fighting their way from the landing beaches at Anzio, the Germans positioned in Rome abandoned the city, allowing the Americans to take it without a fight. Rome was the first of the Axis capitals to fall to the Allies. On June 15, U.S. troops began landing at Saipan in the Mariana Islands, which the Americans hoped to use as a base for bomber attacks on the Japanese home islands. However, the 30,000 Japanese troops on the island fought fiercely, and progress was slow and casualties high for the Americans. Finally, in early July, the Japanese put up their final resistance in the largest banzai charge (suicide attack) of the war. By time the Americans had finally captured Saipan, nearly all Japanese troops on the island had been killed or committed suicide. After the American victory, hundreds of Japanese civilians on the island likewise committed suicide. The Battle of the Philippine Sea, fought June 19–20, was the largest carrier battle of the war and a major victory for the U.S. With the American invasion of Saipan creating a direct threat to the Japanese home islands, Japan decided to force the American fleet into a decisive naval battle to prevent American control of the Marianas. However, over the two day battle, the Japanese lost more than 400 carrier aircraft, in addition to three carriers, essentially ending Japan’s ability to carry out any more major carrier actions for the remainder of the war. 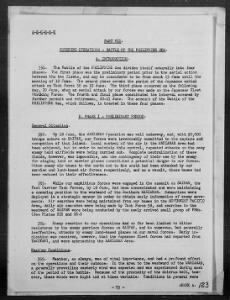 To learn more about World War II, explore the 125 million+ records in Fold3’s World War II collection. Thanks for adding these photos! (many of the news items are from the online Chicago Tribune archives). Plus I have a couple of letters he sent to family during his time in the Pacific. We are also excited to have his World War I diary, during the time he served in the Navy, having enlisted at 17 years,.at our local museum. The taking of Rome deserves, in a sense, to be overlooked, not because of the troops, but because of a command decision by General Mark Clark. Apparently because he wanted the prestige of taking Rome, Clark abandoned his assigned objective, to cut across Central Italy to trap German troops being driven north by the British. By taking Rome instead, Clark allowed those troops to escape into Northern Italy, where they formed much of the force manning the Kesselring Line, which was still holding at the end of the war. I knew a man, John Hess of York PA, who was drafted in 1940 and was due to get out on Dec 11, 1941. Somehow, instead of going to war with his Signal Battalion, he ended up running the mess operation of elements of the Brazilian Expeditionary Force. Bet you never heard of it, but the Brazilians sent a force which fought in the Italian campaign. Supposedly John got the highest award Brazil awards to foreigners for getting hot food to the front lines when they were having trouble getting ammunition up ther. My father loathed General Clark because of this very decision you discuss. Said it cost the lives of many men. I have a letter written by my father to my mother talking about the Brazilians who had just arrived in camp. It helped me identify where my rather fought during the war. Prior to that I only knew he was in North Africa and then to Italy. I am a Brazilian researcher writing a biography about a Brazilian pilot (Lt. Av. Roberto Brandini) that fought in Italy along with the USAAF 350th FS in Tarquinia and Pisa. Your comments on BEF were a great new to me. So, I would appreciate If you sent more information and/or documents You might have or heard of. I believe It would be a great addition to the biography! Thank You in advance ! PS: I am curious about John Hess Braz. award. If you send his relatives address, I can try to find out more information about him, here in Brazil. This comment is to Patricia Cooke, about her quotation on Brazilian Force. I would love having a copy of your dad´s letter talking about the Brazilians! Could send to me? I am a Brazilian researcher writing a biography about a Brazilian pilot (Lt. Av. Roberto Brandini) that fought in Italy along with the USAAF 350th FS in Tarquinia and Pisa. Your comments on BEF were a great new to me. So, I would appreciate If you sent more information and/or documents You might have or heard of. I believe It would be a great addition to the biography! How delightful. I will start looking for the letter today. Thank you, Nancy Smith and thank you, Jim Horn, for your comments. Sadly I do not know much about WW II as I have focused on American’s previous wars so I am learning more about WW II thanks to family, friends and commentators such as you. The history books provide information for which I am grateful but people who have stories make the history more interesting. Thank you, again. I was lucky to be in high school and college during the 60s when a huge number of WW II memoirs were in print and there were a lot of veterans around. Sadly, most of the memoirs are out of print, although it looks some of them may be coming back as ebooks. You might want to check Amazon. Definitely get hold of Ken Burn’s PBS documentary on the war. Otherwise, prowl the used book stores. Do not overlook contemporary and near contemporary movies. They may not be 100% accurate because the other side’s information was not known, or because of security issues on our side, but the propaganda forces on our side, at least, seemed to feel that staying as close as possible to the truth was the best policy. And for a TV series look at the British series Foyle’s War. My brother enlisted in the Navy in 1943 and by spring of 1944, he was the flight engineer on a PBM with rank of Aviation Machinist’s Mate Second Class. He and his squadron were participants in both the Marianas campaign and the Battle of the Philippine Sea. He was awarded the Air Medal for contributing to the locating of the Japanese fleet by his aircraft. During the fighting on Saipan, the Navy supported the Marines by providing aerial reconnaissance, among other activities, and he told me that they were able to spot several snipers that were located in tree tops and , at one location, atop a rocky cliff. Their plane received some bullets in the fuselage but did no real damage. They vectored in some nearby fighter aircraft who took out the snipers. My husbands uncle. Clark Lyde was a gunner who went down with his plane in the Leyte Gulf and has a marker in Manila. Long shot. Did anyone know this tall lanky blonde airman from Denton Texas. I was in ballistic missile submarines that operated out of Guam 1967-1970. 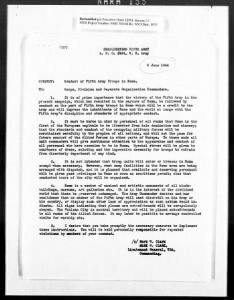 I recall at some time during that period, the Japanese began coming to Guam for vacations, and because he saw and heard Japanese people, a Japanese army lieutenant who had been holed up in the heavily forested area of Guam for all those years ,assumed it was now safe to emerge and rejoin society. He was repatriated to Japan where he received a hero’s welcome. Mr. Sagerholm, I lived on Guam, 1991-2004, and was Navy Archaeologist from 1994-2004. In 1972, Sgt. Shoichi Yokoi was captured by Mr. Jesus Duenas & Mr. Manuel De Gracia in the Talofofo jungle where they were hunting. Yokoi was not an officer, but had promoted himself during his stay in the jungle. I knew Mr. De Gracia, and talked with him several times about their capture of Yokoi. I also met Mrs. Yokoi twice with the “All Japan War Comrade’s Association. Some folks think that he didn’t know the war was over, but he was not an ignorant man. He knew the war was over, but as many Japanese soldiers chose to do, he chose to stay in the jungle because he did not kill himself as was expected. Also, “Yokoi’s Cave” at Talofofo Falls in merely a reproduction. The original is down in the Bubulao Valley. I have been there three times. War is so very sad. Such a waste of Beautiful lives on both sides. who did not welcome their loved ones home. Please, no more wars. Would you rather have America not enter the War and allow Hitler, Mussolini and Togo to continue with their murders and madness? Wars are terrible and the burden of war is on the soldier, sailor, Marine, and airmen, not the politician. Unfortunately mankind will continue to have wars. There will always be wars: of words, economics, and violent conflicts. It is human nature – the drive to be top dog. To see the origins of violent nature, you only need to look to the lesser evolved in Africa. Most of them simply can’t transition from violent conflict to Reason. So, I joined Folds as part of my Ancestry subscription. However I am unsure how to connect to Canadian and British ww1 and ww2 records, or even if you have them available? I lost relatives in both wars! Can you help? Have you Tried Family Search Records or Moose Roots.com ? You can find Canadian and British military records at Ancestry.com or .ca. The majority of British WWI records were unfortunately destroyed in the bombings of WWII. You also might want to check The British War Graves Commission. Mennen Gate is a site where missing British soldiers from the Somme are listed. “What if they gave a war and nobody came? Jim Horn; You see quite familiar with military movies. I came across one late late night years back. I was channel flipping and missed the beginning; maybe you might know the name of it. I’m sure it was a British production. It was about an English Marine Major who’s wife and son had been captured in the fall of Singapore. He was obsessed with finding a way for the British to re-take Singapore so they could be freed. He came up with a crazy idea of finding a fishing boat that could be disguised as native and sailed past the Japanese up a river and into a major harbor (not Singapore) so that a team of Marines could be launched in collapsible two man kayaks under the cover of darkness to plant limpet mines on the Japanese war ships there, and then get out again. He (barely) convinced the brass in to let him do it. They obtained a barely seaworthy old boat from an Aussie coast watcher, Were assigned an Australian Navy Lieutenant to captain it, a small crew of Sailors, and a team of Marines. There was some animosity between the Lieutenant and the Major, there were mechanical problems with the boat, and there were several close calls with the Japanese, but they managed to get to their target and launch the mission. I don’t remember if they lost one of the teams, or if they barely squeaked through, there was probably some dramatic licence there, but they got back to base. There was an epilogue at the end that stated that the Major got permission for a second mission that did not succeed and he was killed. His wife and son survived the war and were liberated after the Japanese were defeated. There were a lot of incidents in the story that made me realize that a 1960’s TV show I was based (very loosely) on this real life mission. Can you tell me the name of this movie? If this is not appropriate for this forum, please forward the message and my e-mail to the addressed poster. If you go to a specialized site the day you see an unidentified show, and know the channel/provider, you can see the title and description. I use TitanTV.com since I don’t get spam from them, and you can construct your own channel line-up either over cable, satellite or broadcast. They even allow you to search for re-broadcasts within the description box for any show. Very handy! Back to Italy focus. My father talked to me about difficult US assault on Mt. fortress, I think called Montecatini. He was not in the war, but in the “vital” food industry. We were never able to figure out if it was that or his German heritage. Same question for my PA wife’s father. My father’s sister, top of her NY Nursing class, was convinced she could not go as she wanted due to German heritage. Those of Japanese heritage were treated worse-almost as bad as Cherokees from Georgia in the Trail of Tears-a low point in our proud American history. Do not renew my membership. My father, Dr Clough, was also an unheralded hero of the Italian occupation. He was a doctor stationed with a recon unit in southern Italy in early 1945. There were not many combat injuries in his area at the time, so his attention was focused mainly on the major malaria epidemic among the troops. there was a huge proliferation of mosquitoes resulting from all the damage to the water and sewer infrastructure that the Germans had deliberately left in their wake as they retreated northward. Dr Clough had some training in engineering before becoming a doctor, and had also watched his father who was an engineer manage the infrastructure of the large city where he grew up. so my dad asked for permission and enough manpower to to fix the water problem. the commander granted his request, and within a few weeks both the mosquito population and the malaria epidemic were abated. For this he was awarded the Bronze Star. My mother, also a WWII Army Nurse, said that he was the only doctor to receive a combat medal during WWII. She was herself an unheralded hero stationed at Letterman Hospital on the Presidio in San Francisco. At her request, she was responsible for setting up the first Central Supply department there. She also asked for and received permission to use the controversial Sister Kenny treatments on the the boys who had polio, and they all recovered with little if any aftereffects of the disease. I was born while this was all going on, so i only know it from what i have read and been told, but i am very proud to know that they both made substantial contributions to the war effort. Hello Patricia Cooke! I forgot including my e-mail! If you want to take a look in my profile in facebook, look for Luciano Fernandes. There is information about Brazilian Pilots and of ROberto Brandini, my relative I am writing the biography. Hmmmm..That 6th day of June ’44. Seems like yesterday. Both my parents. escaped Poland. Eventually arrived in England. Both joined the RAF, where they eventually met. A must see for all is the series “Band of Brothers”, which most of you have surely seen, and “The Pacific”; Both were excellently done, and followed the tours of real paratroopers and marines. “The Longest Day” was a Hollywood version of D-Day. A much truer version was “Saving Private Ryan”, which captured the horror of Omaha Beach. A little trivia about D-Day. June 6, 1944 was not the only D-Day during the War. First,every landing occurred on a D-Day. Second, D-Day was the Army’s phonetic alphabet. A-Alpha, B-Baker, C-Charlie, D-Day, etc. Seems to me it was Able, Baker, Charlie, D-Dog. No? My daughter gave me a book entitled “D Day Through German Eyes” by Holger Eckhertz, interviews with ordinary German soldiers done in 1954 recounting their experiences on June 6, 1944. A fascinating glimpse into the German experience there, some of it extremely graphic, depicting the huge Allied forces bearing down on the defenders. My dad later commanded an artillery battalion in Eastern France and on through to the end. My wife’s father was lost crossing the river Ronco Forlie and never found. Perhaps if Clark had done his job correctly he may have lived. Sorry American cousins but general like Clark cost lives in fathering their own nest. No doubt he got a promotion. I concur, sir. Mark Clark was a glory hog who wanted the honor of capturing an enemy capital instead of doing the proper thing, cutting off the retreating Germans and killing or capturing them. His vainglory gave the Germans the necessary time to retreat and regroup, causing needless Allied casualties and prolonging the Italian campaign to the end of the war. I also agree. Having just been going through my father’s letters it is clear he detested the man for this very reason. Twice now he has mentioned a visit to the camp by General Clark and how much he and some of the other men felt they were still there because he wanted to be the savior of Rome rather than end the war quickly. Memories of a Cousin of my mother – with the 3rd Can.Div., PPCLI : wounded Sicily; KIA, NE Italy, December ’44. 1944 Memories of other such Cousins- one in the UK – RAF, Atlantic Patrol : one in Siam (Thailand), captured at Singapore, released post VJ-day 1945 : another in Burma, as were future friends and colleagues. Sorry. Have to disagree. My father was at Anzio and hated that they were held up and endured trench warfare reminiscent of WWI. But he was very proud to have helped liberate Rome and treasured the card he was given with a picture of the then Pope. It was carried in his wallet until the day he died. He had some choice words to describe “Monty”. I was wondering about the men and women that were state side do we know what they did as in back up I am thinking of December 1944, anyone, thanks. We were also involved in June with the bombardment of Guam. That was premature because the invasion of Guam was pushed back to 21 July 44. 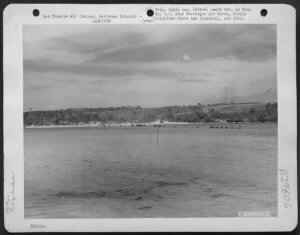 Saipan & Tinian were being taken in June, so too much going on to spare the troops for the Guam invasion. We actually tipped our hand a bit by hitting Guam in June, but the Japanese had no doubt that we were on our way. My father fought in N Africa, Sicily, Italy and on…he never spoke much of Italy.